For many of us, ?mechanic language? is foreign and perhaps even daunting. We don?t know or understand a great deal about what happens at a car service or when car repairs are undertaken. Essentially, we are investing our trust and money in a mechanic and company in the hope that they will do all that is necessary to keep our vehicles safe, roadworthy and performing well. 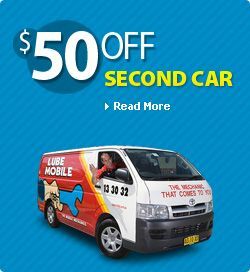 Despite this, it is useful to have some knowledge of what constitutes a good car service and effective car maintenance. So, what should be included in a good car service? Leads ? although leads can last for around a decade, they need to be checked for evidence of wear and tear. Air filter ? your car?s air filter needs to be changed as and when necessary. In between times, it may need to be cleaned. Spark plugs ? spark plugs often provide clues about the condition of your car?s engine. For example, an engine oil leak may be indicated by greasy spark plugs. It is very important to have spark plugs inspected and replaced when they show signs of deterioration. Bulbs ? it is important to check to see that your lights are working. If they are not, bulbs need to be replaced. Steering ? your steering should be checked for response time. Wiper blades ? wiper blades need to be regularly replaced to ensure clear visibility through the windscreen. Air conditioning ? the efficiency of your car?s air conditioning system should be checked at every service. Brakes are critical to a car?s safety and performance. It is imperative that they are checked thoroughly at each service and that the depth of brake pads is measured. Brake response time is also important and brake fluid levels must be maintained to the correct level. Professional auto mechanics will also check your brake rotors and advise of whether they are due for replacement. In order for your car?s engine to keep running smoothly, cleanly and efficiently, the oil needs to be changed regularly. Old, contaminated oil will certainly affect the performance of your car as engine components can be compromised. An oil change involves drainage of old, contaminated oil and replacement with new, fresh oil. At each oil change the oil filter also needs to be replaced. Before granting permission for a mechanic or garage to service your car, ask for specific information about what is included in the service and the associated cost. In particular, ask for detailed information about the treatment of: the engine, brakes, electrics, steering, suspension and bodywork. If car repairs are required, demand a written quote as opposed to an estimate for the work and parts required. It is also advisable to ask to see the parts that the garage has removed, an invoice/receipt and all relevant guarantees when the work is complete. Finally, keep all paperwork and documentation. When you know what should be included in a car service, much of the mystery is taken away. Quality mechanics will keep you informed throughout and will have transparent policies and inclusions relating to their services, pricing and the car repairs offered.